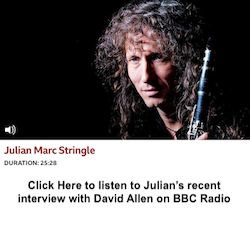 Julian Marc Stringle plays Clarinet, Alto & Tenor Saxes and Sings - but the Clarinet is his passion and he is now recognised by his peers as the most stylish performer on the instrument in Europe. The renowned clarinettist sings classic love songs from Hollywood movies and Broadway shows. Julian's Dream Band features keyboard virtuoso Neil Angilley, Canadian Guitar star Dominic Ashworth, Bass ace Chris Dodd, stylish vocalist Jacqui Hicks and the dynamic Mike Bradley on Drums. Julian's brand of Latin Jazz Funk is influenced by melodies and rhythms from America, Cuba, Brazil and Argentina. Julian is best known around the world as a virtuoso Clarinet player. 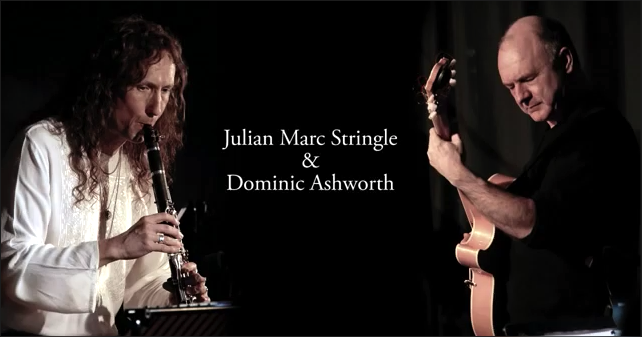 In 2006/7 Julian was voted Best Clarinettist in the British Jazz Awards. Today, he is also in demand on both alto and tenor saxophone. Julian plays pulsating ‘straight-ahead’ swing gigs with the cream of the UK’s rhythm section players. He also does exciting clarinet duet gigs with virtuoso clarinettist Mark Crooks. Whenever USA clarinet ace Ken Peplowski is in Europe, he tours with Julian and the tasteful Craig Milverton Trio.